I cannot emphasize enough how strange it is that rabbits seemed to be appearing before my eyes somehow, somewhere and at the strangest of places. 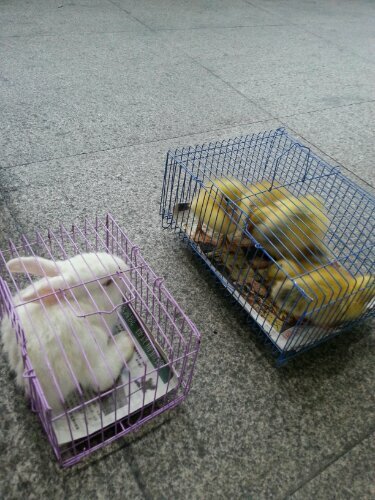 I was in China, this entire week and on the very last day, came across this poor little bunny in this tiny little cage waiting to be sold on a pedestrian bridge. Felt a little helpless that I was unable to do anything to improve its living condition at that point of time. Nonetheless, I took it as a sign that I am moving along the correct direction amd true enough found what I needed not long after the encounter. “Follow the white rabbit” as it was once said….